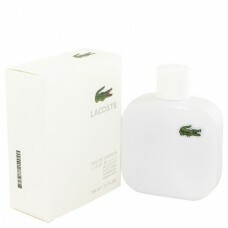 Lacoste launched Eau de Lacoste L.12.12 Blanc Limited Edition as a modern edition inspired by white Lacoste polo shirt. The fragrance belongs to the L.12.12. collection which includes the following editions for men: L.12.12. Blue, L.12.12. Green, L.12.12. Noir, L.12.12. Red and the original L.12.12. White. Each of the above mentioned editions with sooth body of the bottle features a small crocodile, characteristic of Lacoste brand. The new limited edition follows the "neon" trend and details on the bottle and outer cartons pose contrast to white surfaces with strong yellow, neon shades. Composition of the fragrance starts with luminous accords of grapefruit providing sparkling effect around spicy scents of rosemary and cardamom. 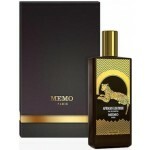 Top notes are enriched with cedar needles scent. The heart of the composition highlights ylang-ylang and tuberose, resting on a base of Virginian cedar, leather, suede and vetiver, which, when united, reflect the masculine character of the edition.